Online ordering menu for Chubz Famous Chiliburger. 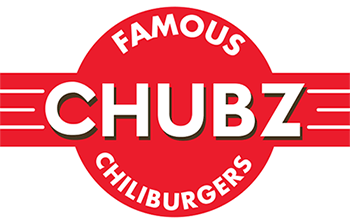 Chubz Famous Chiliburgers, a restaurant founded in 2013 by co-owners Steve Kalik and Scott Piechocinski, is the home of the best chili cheeseburgers, french fries, and onion rings in the nation. Chubz secret chili recipe was devised over several years of trial and error. The unique flavoring and heartiness of the chili perfectly compliments a juicy double cheeseburger or a heaping mess of fresh-cut fries. Try one of our specialties including the Cheesesteak with Fries, Pattie Melt, and Chubz Chicken Platter Plate. Don't forget to try out or hot dogs - regular or chili! Chubz is open seven days a week on Woodlawn Road off of I-77 to meet your #ChiliFix needs. We're not far from Renaissance Park and and Collinswood Language Academy. Come see what a FAMOUS chili cheeseburger tastes like! Order online for carryout or delivery!